I did it! Pancake Friday two weeks in a row! That’s what I get for planning ahead 😉 I knew I’d be out of town all this week and unable to get creative in the kitchen, so I finally got around to writing up a recipe from a few weeks ago. They’re similar to last week’s citrusy recipe, but with a few slight differences. 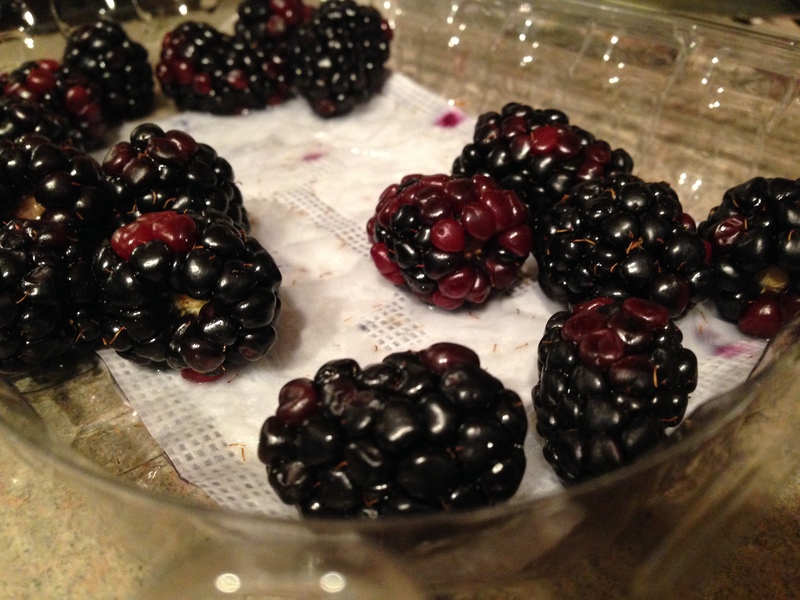 Blackberries were on sale and looking good, so I bought a quart of them at Publix. 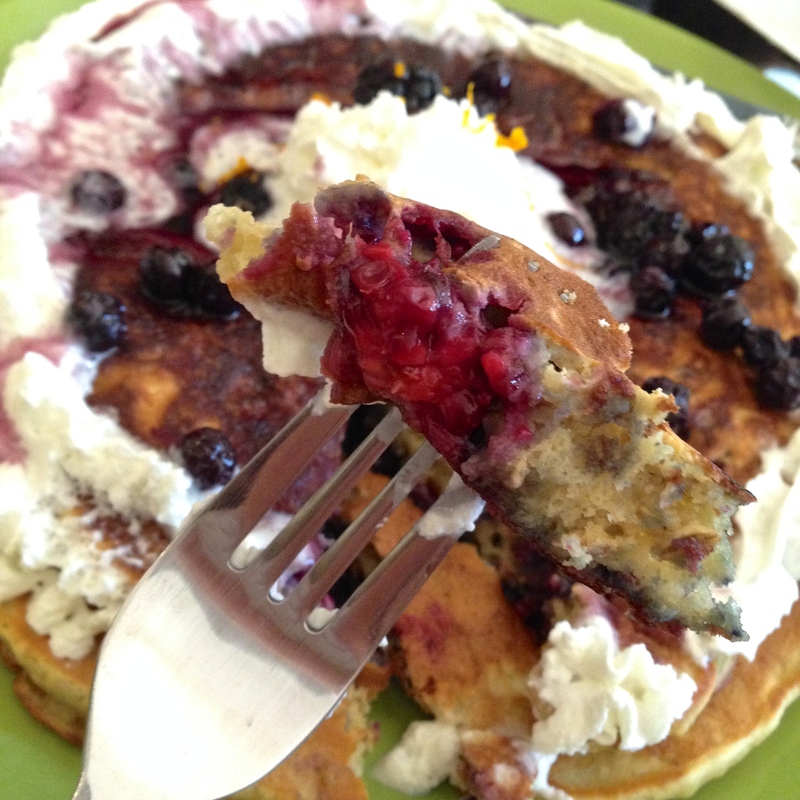 Oh, and when you’ve got whipped cream in the fridge that needs to be used up, pancakes make a great vehicle. As per usual- combine the wet ingredients in one bowl and the dry ingredients in another. Gently stir the wet ingredients into the dry. Fold in the chopped blackberries. 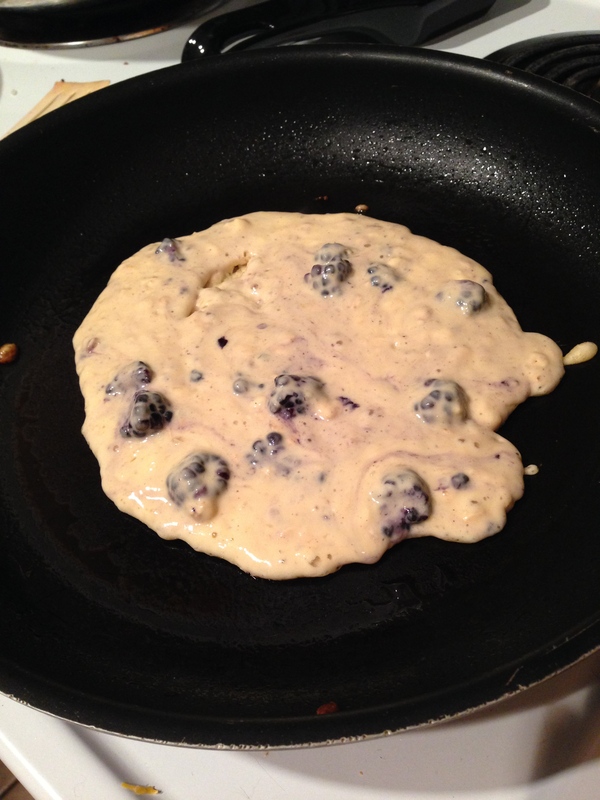 Ladle about ¼ cup batter onto a hot griddle or fry pan. Allow batter to bubble. Flip. Allow to finish cooking. 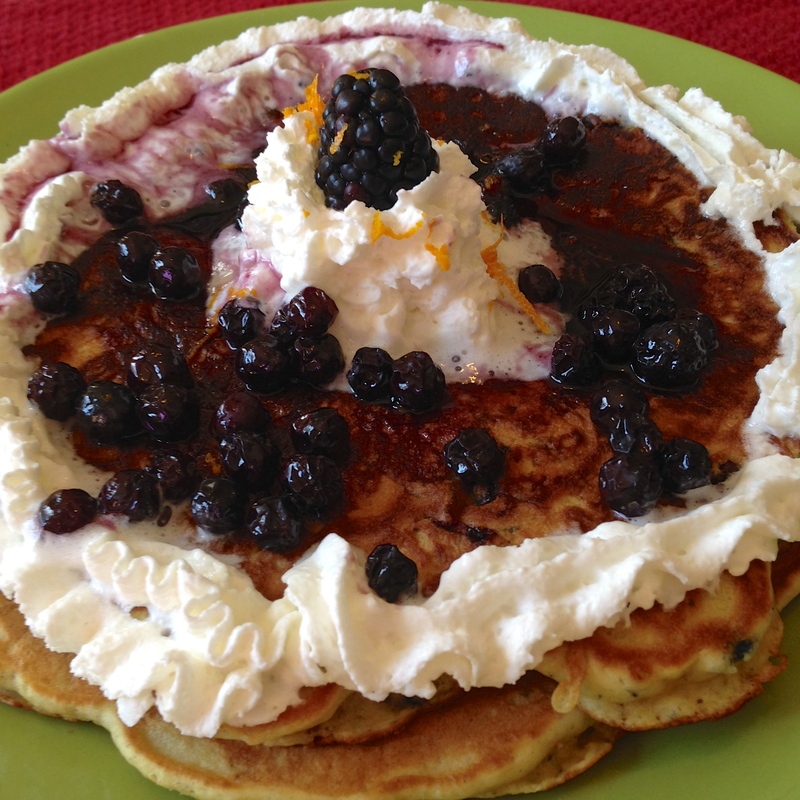 Top with fresh berries, syrup (1 cup frozen blueberries, enough maple syrup to cover the berries, microwave until warm) and whipped cream. Devour.